There's a well-known rule of business: "Fast, Cheap, or Good — pick two"...implying that you shouldn't expect all three. Redimat breaks this rule by delivering all three. 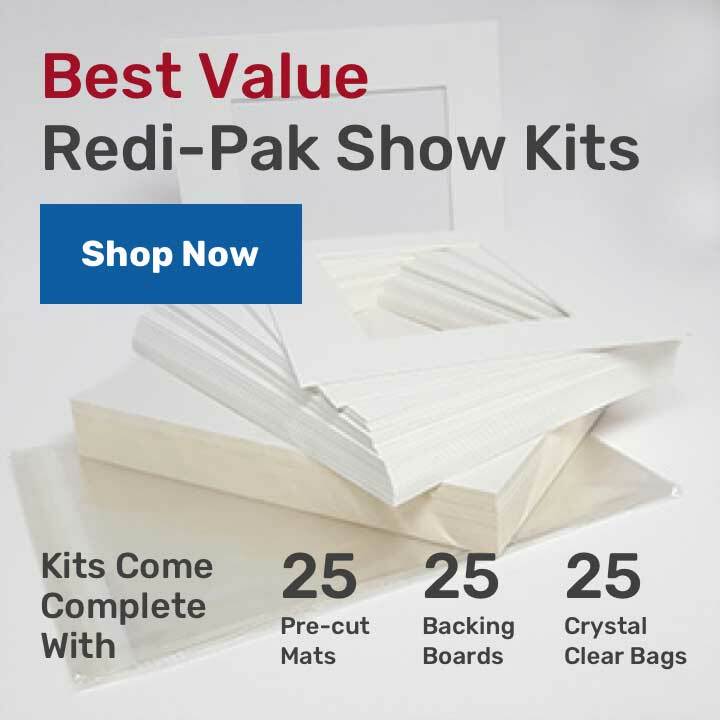 And on the occasions that I've called in under special circumstances, they've always been super helpful"
REDIMAT offers pre-cut, custom, and bulk mat board at wholesale pricing delivered directly to you. We offer artists and photographers an unparalleled choice of mat board products, made by Crescent Cardboard Company, and Neilson-Bainbridge, the premier producers of mat board in the USA. 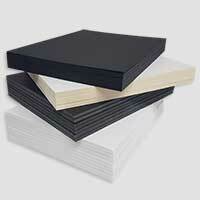 We carry the largest selection of discount Economy Mat Board for customers who require non-conservation matting, for presentation and every day use. For artwork or documents which are valuable, historical or require conservation, we offer a variety of Conservation and Museum RagMat boards, which meet the highest specifications for museums and archivists worldwide. 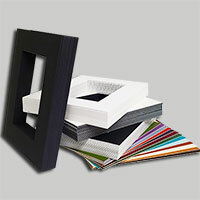 To complement our mat board selection we have a variety of paper and foam core backing and mounting boards to meet every standard. Our resealable Clearbags, are as clear as glass, archival quality and provide a simple solution to protecting, and traveling with your artwork. 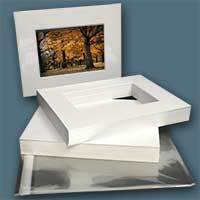 Our Redi-Pak Show Kits are an all in one solution and offer special discount pricing for many common sizes as well as harder to find picture matting for square frames and print sizes. 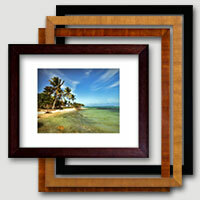 For a finished product, we offer quality wood picture frames. Whether your artwork is custom, standard or digital print size, we have solutions for you. 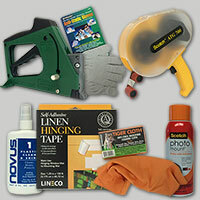 Our broad selection of products is complemented by our most experienced and knowledgeable production staff and office staff. Our ordering process is easy but if you have questions, call us, we have answers. That’s how we stayed in business for 40 years and that’s why when you need mat board, get REDIMAT, because we’re READY TO MAT YOUR NEEDS.